Artificial intelligence most likely may never come up as a topic for a family dinner, acquaintances gathering, and so on, but it’s probably at work behind the scenes most of the time and constantly changing the level of comprehension when the next best formula of improving artificial intelligence comes about. (By saying the level of comprehension of artificial intelligence, I mean it in a sense of how smart artificial intelligence can be.) If you don’t think artificial intelligence is involving in your daily activities, you might be wrong. Why? Just think how many times you have to interact with certain smart technologies in a day. One such technology comes to mind easily is a computer. Another one would be a search engine! 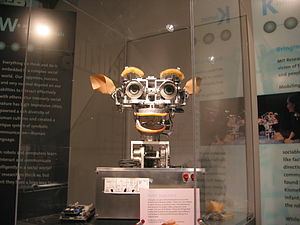 Anyway, our today computing technology such as computer hardware and software are somewhat inherit the past results of dreaming to automate tasks as if the creations of things that aren’t humans yet capable of automating tasks. In a way, the striving for creating automation is on a path of trying to achieve better artificial intelligence. We want something else to help, aid, or even automate things for us so we don’t have to do things for ourselves. Computing technology is great at doing these mundane chores. As we looking forward for a better future, a near future I suppose, many of us think about how to develop, design, and create technology that will aid humans better in many more advanced tasks. For an instance, pilots would want smarter technology to help them in navigating the skies. Furthermore, on the ground, car drivers want to be able to have cars with smarter artificial intelligence so they can avoid traffic accidents, not getting lost, and so much more. Even furthermore, manufacturers want to acquire smarter machines so they can produce even more products with even greater efficiency. The list goes on really. This is why artificial intelligence is complicate, since it’s a topic where everyone wants to know more and achieve more but yet could not define or confine it to a specific field since it’s almost as if striving for artificial intelligence as in duplicating smart human brains. I don’t think we humans have yet to understand our brains well enough, therefore we may not achieve the ultimate level of comprehension for artificial intelligence unless we can understand ours fully. Artificial intelligence is indeed a topic which not a lot of people want to really chat about since it’s rather subtle and complex. Nonetheless, I think there are enough people out there have interests for artificial intelligence. Luckily for these people! I had stumbled upon a free ebook bears the title The Quest for Artificial Intelligence – A History of Ideas and Achievements. I think this free ebook which can be downloaded freely is a great book to read on the matter of artificial intelligence. I have yet to finish it, but I thought such a great book is great for sharing to whoever wants to read up on anything which deals with the topic of artificial intelligence. When I finish the book, I hope that I will be able to write a review for it. Until then folks!